Home Cadillac ATS Cadillac CTS GM recalls the 2013-2014 Cadillac ATS and its 2014 Cadillac CTS vehicles for a a Transmission Shift Cable Detachment/Rollaway Risk. 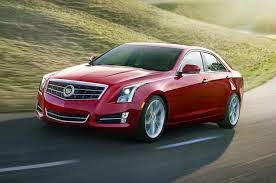 GM recalls the 2013-2014 Cadillac ATS and its 2014 Cadillac CTS vehicles for a a Transmission Shift Cable Detachment/Rollaway Risk. If you've got a lemon Cadillac, we can help. Getting rid of lemons is what we do. Everyday. Since 1978.